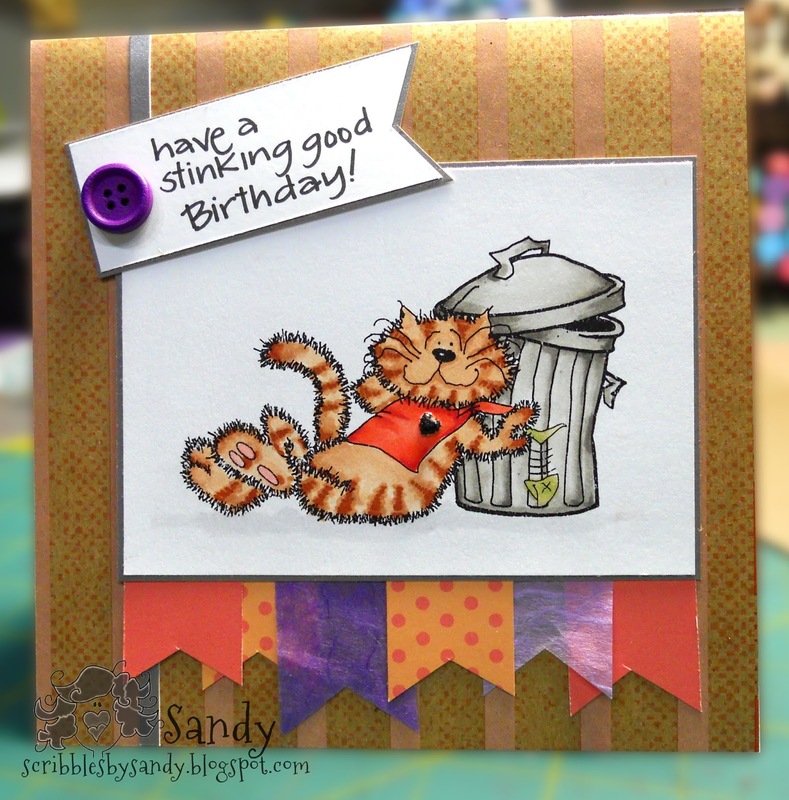 Scribbles by Sandy: Have A Stinking Good Birthday! Have A Stinking Good Birthday! It used to be that dogs were man's best friend and for many, they still are. However, cats are starting to rival dogs as pet companions. In fact, there are a lot of statistics to back that up. According to Ipsos Reid (2011), there were approximately 7.9 million cats and 5.9 million dogs in Canada. With approximately 35% of Canadian households having a dog, and 38% having a cat. In the States, the numbers are a little bit different. According to several different sources of stats compiled by Psychology Today, there were roughly 86 million cats and 78 million dogs in the US. With approximately 39% of American households having a dog, and 33% having a cat. In the UK, according to stats provided by the Pet Food Manufacturers Association (2013), the percentages of animals is even with roughly 8.5 million of each. However, dog owners accounted for 25% of households whereas cat owners only accounted for 19% of households. So, this month we are looking for cats as the primary focus for your creation. Wild or domestic, it's up to you. This month, cats rule and dogs drool. Whooo - third post in one day! Wow! Must. Check. Head. Check out my previous posts for my... err... rants. LOL what a great card!!! We are, alas, not cat people, having TERRIBLE allergies. But our neighbour's cats often pass by and say Hi! Cut card. The sentiment is fabulous and I love the pennants hanging from the image. Thanks for joining us at Through the Craft Room Door.